Discouraging cycling – a low-cost, healthy and environmentally-friendly form of transport – is bad for public health. A recent study found that people who cycled to work had 41% lower death rates overall and had a 46% lower risk of developing heart disease and a 45% lower risk of developing cancer. Wearing a seatbelt in a car is nowhere near as inconvenient as wearing a bike helmet – you don’t have to carry it around when you park the car, it doesn’t mess up an expensive hairdo, it doesn’t make you hot and uncomfortable in what would otherwise be considered superb cycling weather and there’s no additional weight to strain the neck or make the head feel heavy. There’s a big public health downside to discouraging cycling that more than outweighs any possible safety benefits of helmets. Is the same true of cars and seatbelts? The trouble is that helmet laws reduce cycling, and that in the eyes of politicians means there’s no need to build expensive infrastructure! You are ignoring the fact that making cyclists feel obliged to wear helmets discourages cycling so politicians are less willing to spend money on cycling infrastructure. Even worse, with fewer cyclists to campaign for and help design the infrastructure, what gets built is often more inconvenient and less safe than cycling on the roads, so even more people are discouraged from cycling. I’ve seen more examples of inconvenient bike paths (where cyclists have to give way at every intersection so it takes twice as long as cycling on the nearby road and cyclists are exposed to even more car pollution) and dangerous bike lanes (that force cyclists to ride in the car-door-opening-zone, or cross many driveways were cars reverse out without looking for cyclists) than good facilities. You seem to be confusing helmet use (where cyclists are allowed to choose whether or not to wear a helmet) with the sort of fixation discussed in paper that discourages cycling by making cyclists feel obliged to wear helmets, or worse still results in helmet laws. Knock on wood so far I’ve been very glad to have a helmet during a hand full of off-road crashes. General urban riding, and path riding, I recognize that going without is probably ok. I have worn mine so long it feels natural. Actually it’s been proven in other countries that when you mandate helmets ridership plummets. Countries with high ridership also have low rates of helmet use. The united states as a whole may be spread out, but that’s not the case within cities where most utility riding happens. In many major cities the streets also predate the automobile so they in fact could not have been “made for car travel”. No good reason to wear a helmet. Just look at the Netherlands. They have far more people riding and very few wear helmet. Yet the injury rate is vastly lower then the united states. No real harm in wearing a helmet, although on very cold days here in Toronto I’ll wear my thick furry hat instead. I very rarely fall and sometimes falls are of the slow ‘bike starting to slide out from under me’ sort. That being said, protected bike lanes are the best way to go. But Toronto is mired in car culture as deeply as any other North American city so our bike lane system is a patchwork. The real question would be forcing everyone in a car to wear a helmet. Guess how far that would go? And yet it would vastly reduce the number of head injuries (if helmets are indeed effective) for road use. Far more than cyclists. Because the peril of sitting in an auto surrounded by padding and airbags is similar to that of sitting on a bike surrounded by asphalt, concrete, and steel? Those stats about lower death rates and better heart health are deceiving, I’d say, because the population of bikers selects for healthier people from the get-go. In other words, the benefits were seen in people who didn’t have any longstanding illness, diabetes, hypertension, CVD, cancer, or depression at the start of the study. As the authors say, the most likely explanation is that regular cycling keeps people healthy. On the other hand, there is plenty. So much so that in Denmark among other places they stopped promoting them. In Australia making them compulsory led to numbers dropping 40% as soon as the cops started enforcing them. This fact is well known and quoted worldwide to refute calls for mandatory helmet laws. The calls for helmet promotion will continue as long as helmets are a demonstrable safety improvement, which is the case. I haven’t heard the “constant calls for a law” you refer to, though I’m sure some have that opinion. There is no “direct effect” of helmets increasing pollution or damaging public health — you are talking about very unsubstantiated indirect effects at best. In the busy city I live in, I ride more often because I have a helmet than if I didn’t, and I am not the only one. I appreciate having the option not to, but I also wouldn’t weep if it were a law. Were it a law, you could feel free to take the risk of not wearing a helmet. You would just add the possibility of a fine to the chance of traumatic head injury. To each his own head and wallet! Correlation does not equal causation, mon ami! There are many cultural and infrastructural issues that vary widely between Holland, say, and Australia. If the Dutch passed a helmet law tomorrow, there would be resistance, but if it happened people would wear them (or risk a fine) and there would be no negative impact on safety levels. There would probably be a decrease in head injuries. The culture of bikes as a serious form of transport alongside bike-focused infrastructure and separation from cars is what keeps people safe there. The lack of said infrastructure and respect for cycling in many other more car-centric countries has nothing to do with helmets or lack thereof. This is all classic red herringism at its finest. Haha. Is that your website? It’s an utterly one-sided website that focuses on repeating and promoting old studies, some with merit, some with less, that have something bad to say about helmet use. There are many more studies showing the positive health benefits of wearing helmets, which are conveniently ignored. Funny that! So when the cyclist fell and hit the pavement, what was that, your linguistic highness? No, they are the cause of concussion. One type of brain injury. The article is interesting — the perspective of a couple of smart guys — but it is not an anti-helmet piece. They are talking about a design issue that helmets are made to project against massive trauma like skull fracture and brain contusion (another more serious type of brain injury) but less so concussion. The article also mentions the Swedish MIPS technology, which I have in my helmet, which was made purposefully to address rotational forces that may cause concussion. So, yes, some food for thought but no argument against helmet use here. Exactly! The cycle helmet industry is now worth billions, for a product that doesn’t work and can’t be taken back when it fails; literally a licence to print money. The msm is full of stories about how dangerous cycling is, when the risks are the same for distance travelled as walking. They’re doing the same with ski-ing helmets now, with the same result; no safety improvement but billions in someone’s bank account. Perhaps if you actually read it, you might be able to make a sensible comment about it. Far from being one-sided, it includes all the available evidence, from both sides of the argument, both pro- and anti. If you had any in-depth knowledge at all, you would have realised that the studies showing massive benefits from helmets are short term, small scale, use the least robust methodology with researchers who are blatantly biased. The research showing no benefits or an increase in risk are long term, whole population, robust methodology with disinterested researchers. If you’re going to post nonsense, at least make it vaguely credible. And no, it isn’t my website. Honestly though, all you do is share and re-share that same tired link (and a few others) over and over again. It contains some interesting stuff but it’s a one-sided propaganda site with an anti-helmet bias. Whoever runs it has cherry picked studies they hope will convince people that helmets are not only useless but dangerous. I am aware of those studies but also of the many other studies that show the benefits of helmet use. But at the end of the day my take on this and my personal decision has to do with pretty common sense stuff: as a cyclist who has seen bad crashes, taken unhelmetted friends to hospital, and had my own run-ins and wears a well-designed MIPS helmet it’s just basic. You will say “oh your anecdotes don’t prove anything,” and maybe you’re right. The problem is getting at the science of helmet use in broad studies is very tricky. It’s one thing to use a machine to show the protective abilities of helmets. But when you start getting into the various complications of large studies of helmet use, injury types, cycling rates etc. with all kinds of confounding factors, it becomes a very muddled landscape from which different researchers and different readers seem to be able to choose the conclusions they want to draw. I am not a die-hard pro-helmet lobbyist, but I really have yet to see or read anything that would begin to convince me that not wearing a helmet would be the better choice. Any chance you could sum that diatribe up in rather fewer sentences so that I could be bothered to read it? 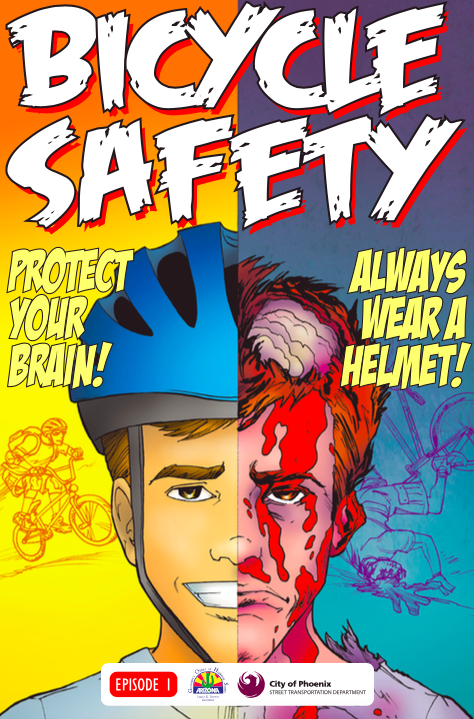 Wearing a helmet is as important as using the seat belt while driving a car. It costs a life than not choosing a helmet. Head injuries can be avoided by 85% by using a helmet by a study.I have found an online store in the U.S for different types of helmets including mountain bike helmet, light cycling helmets and many more.